The Cleaning Company You Don’t Have to Think About. People need a clean space to be productive. Help your team by having your offices be neat and tidy. People are serious about their money. Have your bank spotless and keep customers feeling secure about banking with you. Have the people have faith in you. Keep public facilities in your area representing the job you are doing for them by looking clean and efficient. Sanitation is essential at your schools. Keep the kids and staff healthy and stress free. First impressions are critical. Customers shop more in a clean spotless environment. We clean your windows, pressure wash the sidewalks, and sweep your parking lots. Keep your construction zones free of debris and looking clenaer than when you started. we clean testing equipment, computer equipment and clean rooms so you can stay up and functional. 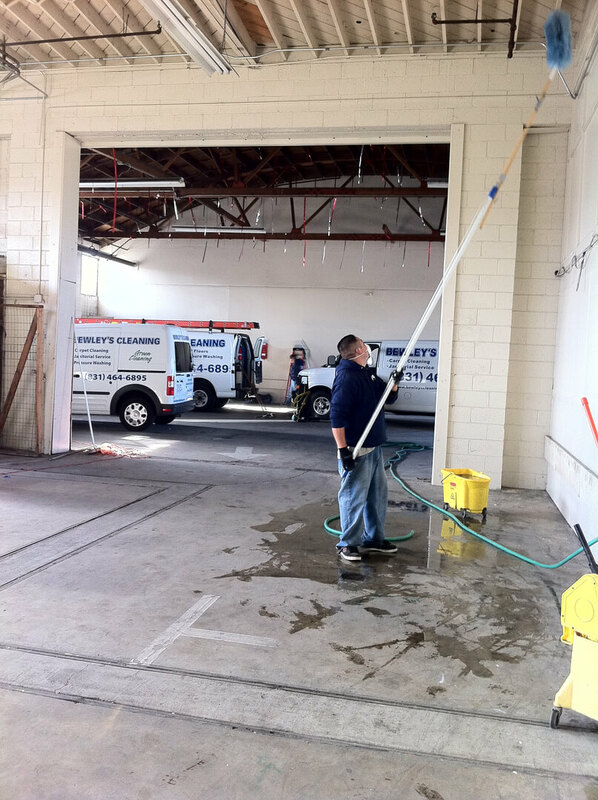 Bewley’s Cleaning has offered high-quality green cleaning, commercial janitorial and office cleaning services to Santa Cruz businesses for OVER 40 YEARS. Our cleaning company is committed to cleaning with consistent quality in a timely manner at a fair price. We want all of our customers to consider us a strategic partner. We strive to maintain relationships with clients and become more than just a cleaning service. We want to be part of the routine that makes your life easier, healthier, and cleaner. The more often we come by, the less work you have to do, and the more you save. Let us help, this way you can focus on what you do best. Serving Santa Cruz Since 1976! It all starts with us taking a look at what you the customer wants done. With our vast experience, we can help you setup a cleaning schedule that will fulfill your requirements at a reasonable cost. We gather all the specifications exactly as you want them done and the frequencies that you need them accomplished. We then create a solution that fulfills your request. You can then chose all or any of the solution that best suits your needs and budget. After finalizing all the details of the estimate, we transfer the particulars to a written contract, so that it will be clear as to what you are paying for. Then let’s get started!